Please note that With effect from 02-June-2014, Sales between the two new successor states of Telangana and Andhra Pradesh will be treated as Inter-State sales liable to be taxed under the CST Act 1956 at applicable rates. 4 Please note that filing of Return & payment of taxes for Tax period of May 2014 (including 01-June-2014) in case of VAT dealers shall be done Vide G.O.Ms.No. 248. Dated:30-05-2014. Also, TOT dealers may please check change in Calender Quarters vide this GO. 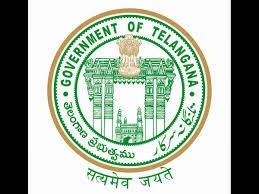 "Commissioner (CT) ,Hyderabad, Account No.52203650022, State Bank of Hyderabad, Gruhakalpa Branch, Hyderabad (IFSC Code : SBHY0020496)"
Note:- CDSC will accept only DD's as mode of payment. DD in favour of "Commissioner (CT) ,Hyderabad", payable at Hyderabad. Sir, please let us know whether cst waybill is to be generated for defective stocks, replacements sent to our dealers in Rayalaseema Region from Hyderabad.